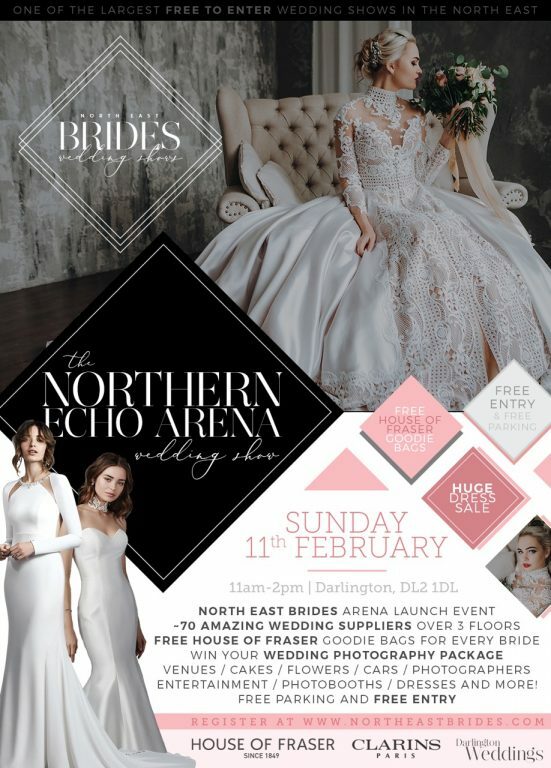 We are very excited to be going to the Northern Echo Arena wedding fair on Sunday 11th Feb, and we will be having a MASSIVE sample sale of our beautiful dresses!!! You could walk away with your dream dress from only £100 – on the day only. Sign up for our newsletters to hear about the latest dresses and wedding tips from the best in the industry. Please prove you are human; what is 10-1?